Blueprint Gaming releases Masters of Atlantis based on the famous Greek God Poseidon, so one should expect a theme based deep in the ocean. 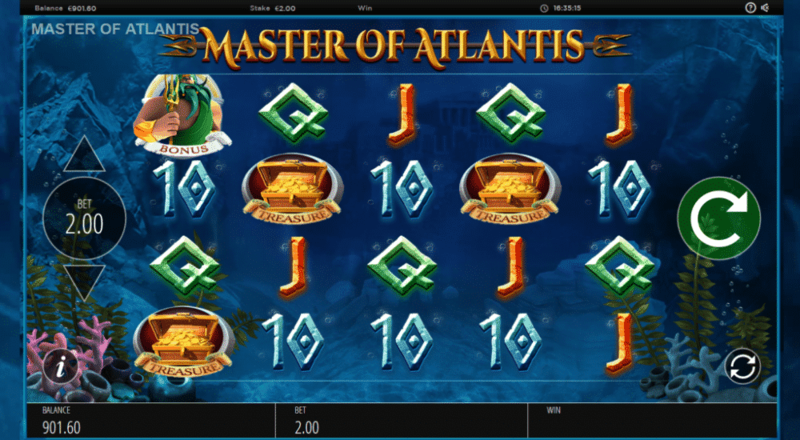 Master of Atlantis is a 5 reel, 4 rows with 40 fixed paying lines video slot with a theoretical payout percentage (RTP) set to 96.08%. Players can choose to place bets from as little as 50p up to £500, but can vary depending on the maximum bet allowed by the operator. The maximum payout on a single spin is set to 10,000 times the stake amount. There is 5 high paying symbols; Master of Atlantis, Kraken, Shark, Treasure and the Pearl and 6 low paying symbols, being; 9, 10, J, Q K and A. There is also the Wild Substitution Symbol with the Omega sign which substitutes all symbols with the exception of the Scatter Bonus Symbols. 5 Bonus Scatter Symbols: 3 Trident Power Spin and 5 Free Spins. When the Trident Power Spins are triggered the symbols on the reels change and the aim to get a big win multiplier is to get as many trident symbols as possible. Once the Poseidon Power Spins are completed the Free Spin rounds are activated. It is possible to get more free spins, if more Bonus Scatters Symbols lands on the 3rd reel or it can generate another power spin! At any point in both base game and free rounds the Trident can strike changing severla symbols into mystery symbols which can generate a good winning combination for the player. All in all, this video slot has been well developed to offer a great experience for the players. The theme of Master of Atlantis is very popular among online casino lovers and many other games developers have released slots based on either Poseidon or Neptune which is instead the Roman God of the Ocean. Feel free to share your thoughts about this vide slot by simply register an account and submit your comments. 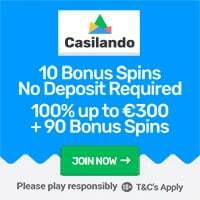 Recommended: Play Master of Atlantis at Casumo – Get 20 Free Spins on Registration!